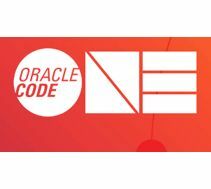 At Oracle Code One, take a deep-dive into sessions on leading-edge technology such as blockchain, chatbots, microservices, and AI. Oracle Code One is the most inclusive developer conference on the planet being held from October 22-25 in San Francisco, CA. a.i. solutions Principal System Engineer Diane Davis and Principal Software Engineer Sean Phillips will both be speaking at this event.